Long before Ted Cruz became a senator from Texas, he was a gamer. He’s known for being pugilistic on the Senate floor, but sometimes he’d rather be fighting cartoon zombies on his iPhone. It’s an uncommon lens through which to view Cruz, a controversial conservative figure who is now running for the highest political office in the country. Cruz’s video game habit fits into a largely hidden geek persona that lurks just behind his better-known public reputation as an obstinate Tea Party firebrand. At the moment, Cruz is playing “Plants vs. Zombies,” a game where users collect sunlight points to feed plants who fight off waves of zombies; “Candy Crush,” the puzzle game where he claims he’s in the 217th level; and “The Creeps!,” a tower defense game. 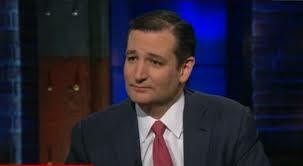 His video game addiction is so severe, Cruz says, he has to proactively deny himself the ability to spend time on it.